Ah, the subject of offsprings! When you reach a certain age and you`re also married, that`s all everyone will ask you about. Are you content with your workplace? Who cares, when are you having kids? Are you in a happy marriage? Who cares, when are you popping a little one? Did you win the Nobel prize? You can`t be a 28-year-old woman and not be a mother. OK, like usual, I might exaggerate things. But there is a certain pressure on women, an archaic idea that we can be truly fulfilled only when we have children. And for the record, I`m in a very happy marriage and I do want kids. Just not right now. A few years ago my husband and I agreed to give it a go and sadly, it did not pan out. So I decided that I`m not going to stress about it anymore. When the time is right, the time is right. And when the moment comes, here are the books I want my mini-me to read and hopefully, love. Imagine the excitement of your kid reading this wonderful series for the first time (and also yours, at your 20th reread). Think of the bond you`ll share. The excitement of sharing the same house. Or the drama of being in separate ones. This was the first book I truly loved and I remember how shocked my dad was to see me reading all day. Sadly, at 14 I was more interested in MTV than books. Anyways, the story was so beautiful and emotional, I was hooked instantly. It was the first time I finished a book in a day. I did the mistake of reading this book only this year and as an adult, I did not have the same magical feeling about it. Society has corrupted me. But it`s definitely one of those stories that kids will enjoy. Again, a beautiful children`s classic novel that is full of life lessons. I think I mentioned this in a previous post, but as a child, I did not read many children-lit classics. That`s because in Romania we obviously studied our own books and the library did not have that many copies. And I wasn`t that much of a reader until high-school anyway. I definitely want my kids to read these books at a young age, as I think they`ll enjoy them more when they`re young. I sound like I broken record, I know that. But it`s one of my all-time favourite books and it`s such an important book about racism, prejudice and ignorance. I cannot recommend it enough! Considered by many a modern classic, "The Outsiders" tells the story of a group of outcasts and their strong friendship. You often hear people how much you mean to them, but these kids would literally die for each other. It`s sad and emotional and it poses some important questions about class discrimination. I won`t go into too many details, but this is an important book that everyone needs to read and later on discuss. What if it`s a boy? Why are you brainwashing your kid with liberal propaganda? OK, I`m sure none of my lovely readers think that. Sadly, many people in society still have preconceived notions. And that`s why I want my future kid to know that everyone should be treated equally and have the same chances. I`m a history nerd just like my dad. And I hope that my kid will share our interest as well. If not, I have a trick up my sleeve and that`s "The Book Thief". Because I believe that this is one of those heartbreaking stories that make you want to know more about history and what led to such tragic events. Obviously, there are many more books I want my future kids to read. I also have to accept the reality that they might not be readers. Though for me it`s hard to believe that. I honestly think that anyone can enjoy reading as long as they find the perfect book for them. I love seeing what books children in other places around the world (outside my own US) read and loved. Nobody’s Boy is a book on our 1001 Children’s Books list. You've got some of my favourites in this list and I definitely think you're never too young to read about feminism. Have you heard of 'good night tales for rebel girls' or something like that, I will definitely be reading my kids something similar to that if I have any. 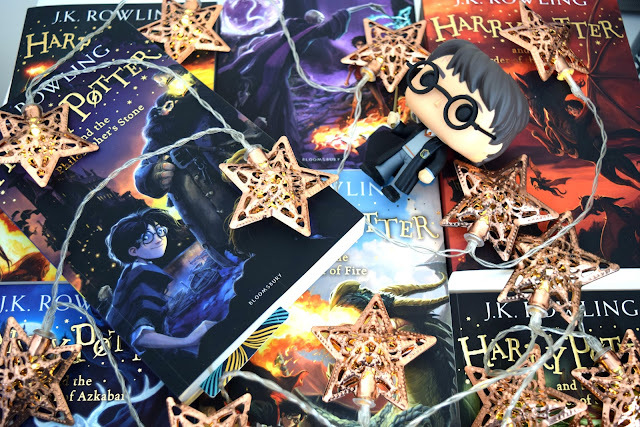 Also HP is a given, but I've always wanted to spread it out over years so that the books grow up with them; the very same experience I had! Nice list! I'd definitely share Harry Potter with my children as well as The Little Prince. I didn't read that until I was in college, but still really enjoyed it. Here is my Top Ten Tuesday. I love all of these! My future children will definitely be reading Harry Potter. Everybody should read those books. I wrote my grad school thesis on The Book Thief, so my kids will be reading that one, too. I guess I have my teachers to thank for all the literature I read. If I was left to my own devices, I would have never read Alice, The Wizard of Oz, or To Kill a Mockingbird. I won't lie, I read The Outsiders and Hinton's other books, because the movies were popular when I was a kid. Great list and the books offer lots of wonderful takeaways for the reader. Harry Potter and The Book Thief were on my list too! Ugh, I hate that everyone assumes if you get married, automatically you're going to have kids. I'd like to get married one day, maybe, but I definitely don't want kids and I'm not looking forward to fielding all the questions about it! Even atm, all my relatives seem to want to ask me about is when I'm going to get a boyfriend, like hello, I do have other stuff going on in my life besides my lack of boyfriend!